Abbotsford, BC – The reigning PacWest conference MVP, a former Canada West rookie of the year, and a CIS national all-tournament honouree headline a veteran-laden crew of incoming players for head coach Al Tuchscherer and the University of the Fraser Valley women’s basketball program. The aforementioned accolades were earned, respectively, by Shayna Cameron, Sydney Williams and Kayli Sartori – all of whom have extensive post-secondary basketball experience under their belts already. Natajia McMillan, an outstanding guard out of Renton High School in Washington state, also committed to the Cascades recently and becomes Tuchscherer’s first-ever recruit from south of the border. Those four players join three previously announced recruits – Taylor Claggett (5’11” forward, Abbotsford, Mennonite Educational Institute), Kate Head (5’9” point guard, Maple Ridge Secondary) and Amanda Thompson (5’10” guard, Abbotsford, W.J. Mouat Secondary) – to comprise the Cascades’ incoming class of 2015. Cameron, a Chilliwack Secondary graduate, returns home to the Fraser Valley for her fifth and final season of eligibility following a memorable four-year run at Quest University in Squamish. The 5’9” shooting guard is coming off back-to-back PacWest titles and CCAA national tournament appearances with the Kermodes, and she racked up a bushel of individual awards along the way. Among the baubles she collected in 2015: the PacWest’s female athlete of the year award across all sports, the Basketball BC college female athlete of the year award, and a CCAA All-Canadian nod. Williams had a sparkling high school career at Langley’s Brookswood Secondary – she was a first team all-star at the 2013 B.C. AAA high school provincials as her Brookswood Bobcats finished second. She had an outstanding Canada West debut the following season with the Thompson Rivers WolfPack, averaging 7.4 points and 6.0 rebounds en route to conference rookie of the year honours. The sharpshooting Williams ranked eighth in Canada West in three-pointers made with 42, and shot 31.3 per cent from beyond the arc. After taking last season off, Sartori returns to the Cascades build on an already-formidable legacy. The versatile 6’0” forward was a high school standout at Abbotsford’s Mouat Secondary, leading the Hawks to gold at the 2011 B.C. AAA provincials and earning tournament MVP honours. 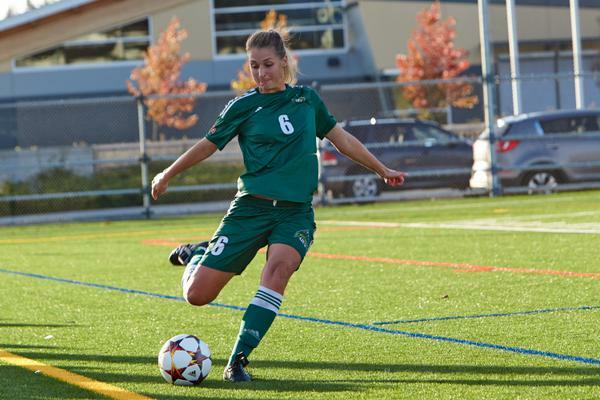 She then moved across town to UFV and helped the Cascades to three straight Canada West Final Fours, culminating in a conference silver medal and a CIS bronze medal in 2014. She was the third-highest scorer on the Cascades’ stacked 2013-14 squad, averaging 10.2 points per game along with 4.5 rebounds and 2.5 assists. McMillan, a 5’9” guard, stuffed the stat sheet on behalf of Renton High School last season, racking up 15.8 points, 5.1 rebounds, 4.2 assists and 2.8 steals per game. Under Tuchscherer’s tutelage, the Cascades have established themselves as a perennial contender in Canada West. The team made four straight trips to the conference Final Four (2011 to 2014), and earned the program’s first-ever CIS medal, a bronze, in 2014. The Cascades tip off the 2015-16 regular season on Nov. 6, when they face the UBC Okanagan Heat at home. 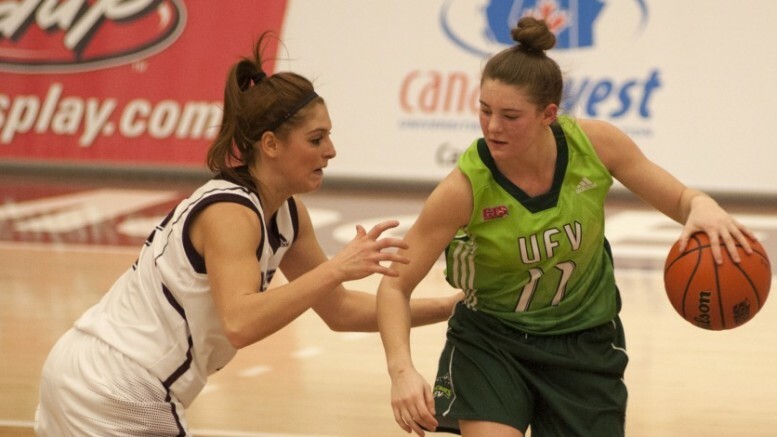 Be the first to comment on "UFV Women’s Basketball Gears Up For New Season"